Platforms and marketplaces integrate with Shippo’s shipping API to allow their customers to create shipping labels and track packages. Shippo provides a complete set of building blocks to support virtually any business model, including shopping cart platforms, marketplaces and order, warehouse and inventory management systems. Easy integration: building the shipping infrastructure for your platform is no longer a big undertaking. Take advantage of our robust APIs and premade UI components to simplify operations and launch faster. Custom integration: Shippo is API-first and lets you design the best experience for your platform. You can customize onboarding, set different shipping rates, offer shipping labels at scale and more – you own the experience from end to end! Customer acquisition: tap into the Shippo merchant network by marketing your platform to Shippo’s customer base. Our Partner Management and Marketing teams will work with you to help you grow your business with Shippo. Partner support: our team of integration and partner managers will help you get started, navigate integration questions, and foster successful shipping operations for your customers. If you’re looking for a seamless shipping integration, a white label integration is recommended. You will open and manage a single, standard Shippo account for your entire platform. Shippo will charge you for all the shipments processed through this account. You are responsible for billing and charging your customers, which allows you to completely customize the user experience. Shippo will always be behind-the-scenes and never make any contact with your users. Allowing your users to access Shippo through their own, standalone account is the best option if you want to offer shipping features within your platform, but don’t want to handle the billing and communication administration. Your users will sign up for a Shippo account through our OAuth flow, allowing them to easily sign up and connect their Shippo account. We bill and charge your users directly for any applicable fees, such as postage costs. We also support your customers directly with any shipping-related questions. 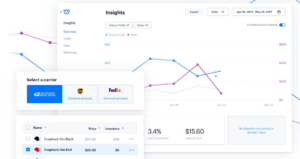 Your customers can optionally use the full Shippo Web App, allowing you to focus on building only the most relevant features within your platforms. Integrating Shippo Web App Order Sync is the best option when you don’t want to build your own shipping interface and strive to go to market quickly. Your users can use the Shippo web app to access all shipping features, and all order data will be synced automatically between your platform and Shippo. You only need to push your user’s orders from your system directly into the Shippo web app through our Orders endpoint – one simple POST API call per order! 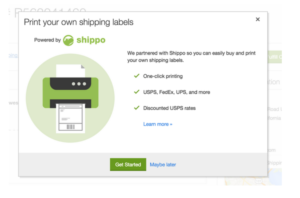 Your users can sign up for a Shippo account via OAuth and start shipping right away. You won’t need to worry about building any shipping interfaces, billing flows or customer onboarding. More questions? Reach out to partnerships@goshippo.com!